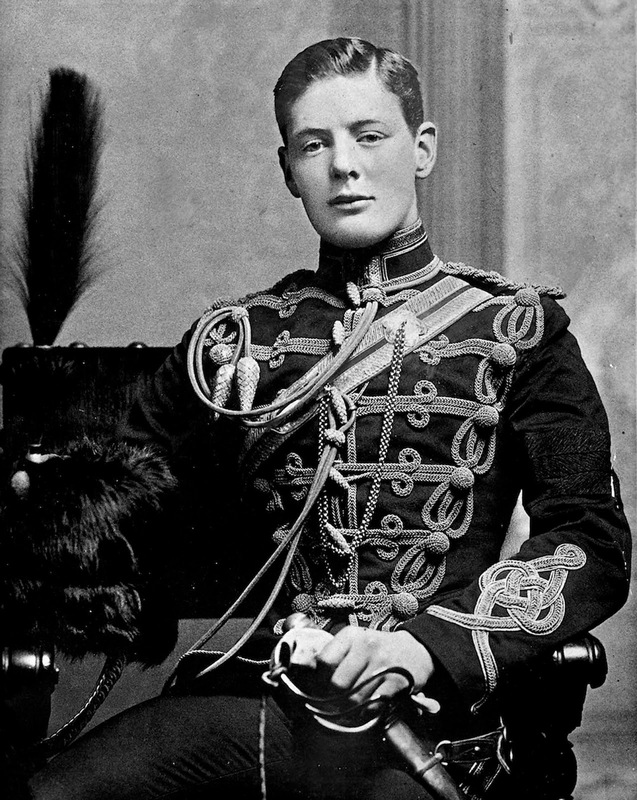 A rare shot of a 21 years old Winston Churchill in the uniform of the Fourth Queen’s Own Hussars, 1895. When Winston Churchill entered the Royal Military College (Sandhurst) few could foresee that he would become one of Great Britain’s greatest war leaders. He tried three times before passing the entrance exam; he applied to be trained for the cavalry rather than the infantry because the required grade was lower and he was not required to learn mathematics, which he disliked. At Sandhurst Churchill had a new start. “I was no longer handicapped by past neglect of Latin, French or Mathematics. We had now to learn fresh things and we all started equal. Tactics, Fortification, Topography (map-making), Military Law and Military Fortification, formed the whole curriculum. In addition were Drill, Gymnastics and Riding”. Churchill found his work at Sandhurst exciting. He drew contoured maps of the hills in the area, designed paper plans for the advanced guards and rear guards, and even thought up simple tactical schemes. He learned how to blow up masonry bridges and make substitute bridges out of wood. 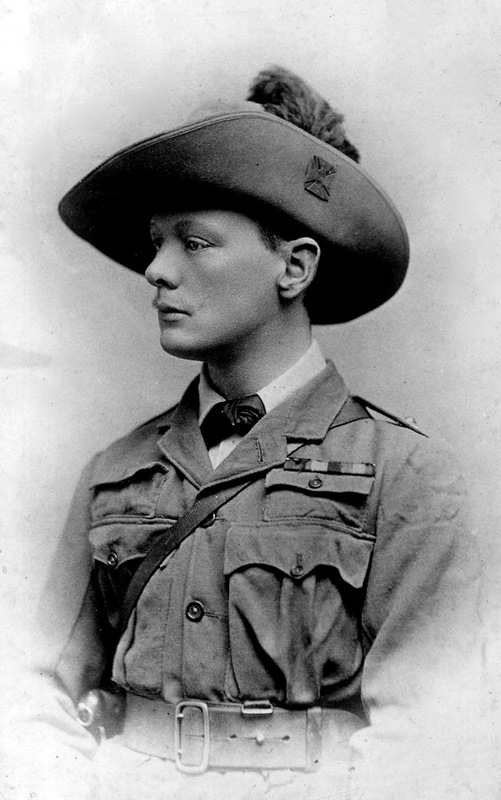 Winston Churchill graduated from Sandhurst with honors, eighth out of a class of 150 in December 1894, and although he could now have transferred to an infantry regiment as his father had wished, chose to remain with the cavalry and was commissioned as a Cornet (Second Lieutenant) in the 4th Queen’s Own Hussars on 20 February 1895. These two photos were taken after he was commissioned as a Cornet. Churchill’s pay as a second-lieutenant in the 4th Hussars was £300 annually. However, he believed that he needed at least a further £500 (equivalent to £55,000 in 2012 terms) to support a style of life equal to that of other officers of the regiment. His mother provided an allowance of £400 per year, but this was repeatedly overspent. 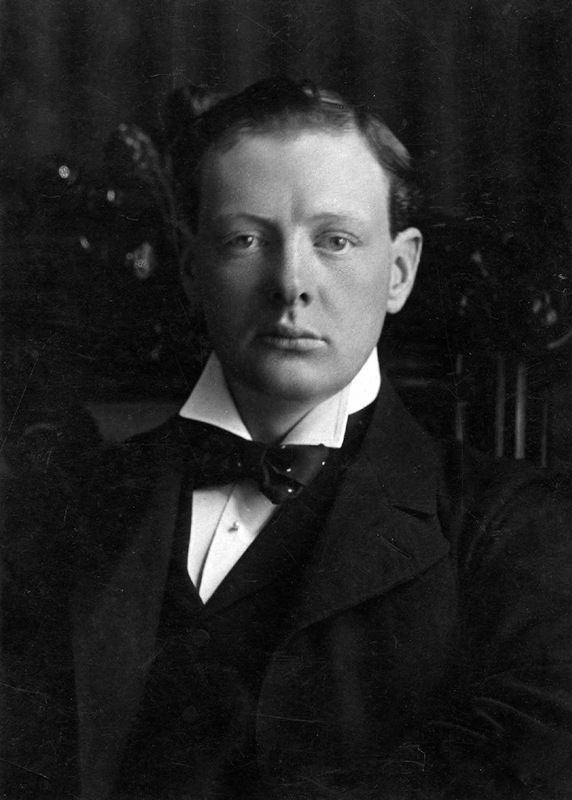 In order to boost his income, Churchill began war correspondence for a range of London newspapers. Winston Churchill in the uniform of the Fourth Queen’s Own Hussars, February 1895. 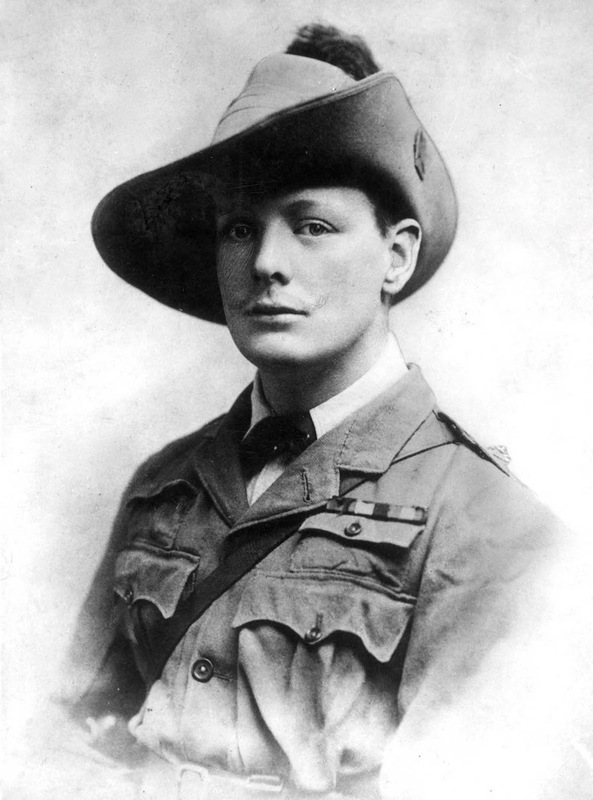 Churchill during his service in the South African Light Horse. 1899. 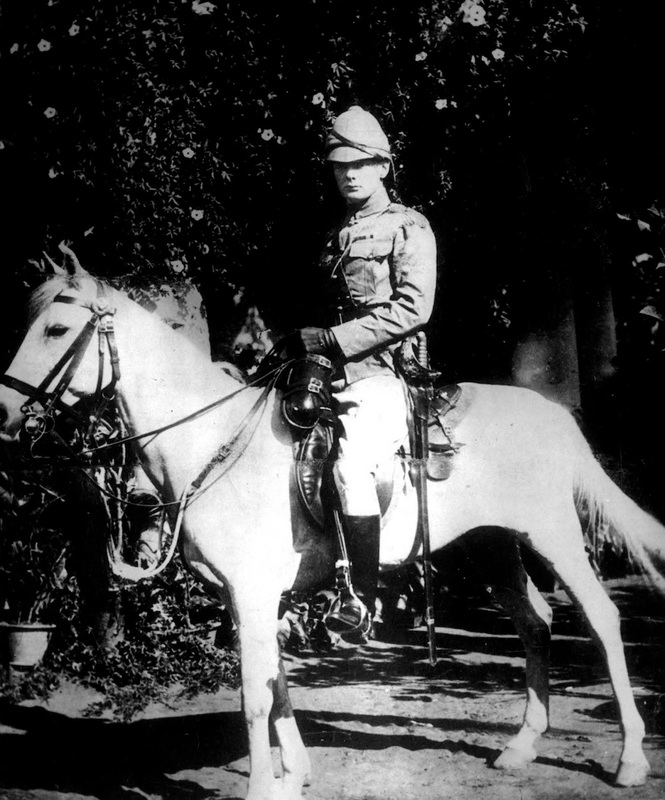 Churchill on horseback in Bangalore, India. 1897. 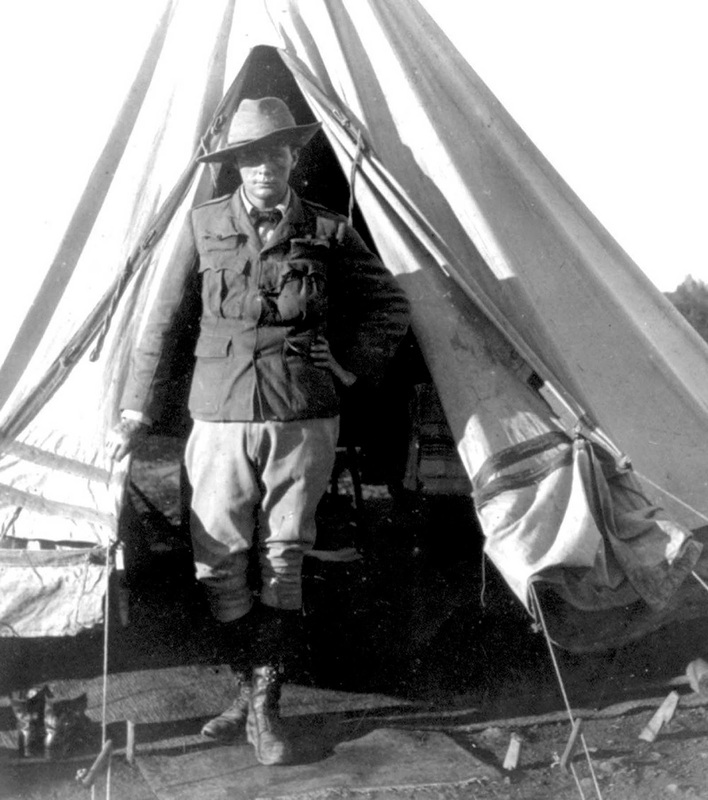 Churchill standing at the opening of his tent as a war correspondent during the Second Boer War, in Bloemfontein, South Africa. 1900. Churchill portrait by Russell & Sons. 1904. Interesting glimpse of a product of his time. The label 'one of Great Britain’s greatest war leaders' is only applicable to those seeking war.